NEW YORK, NY (Nov. 2, 2011) – Scientists at the New York Stem Cell Foundation (NYSCF) will use cord blood and stem cell technology to develop treatments for blood-related diseases and to increase the available blood supply for clinical use as part of a new joint venture with the New York Blood Center National Cord Blood Program, Duke’s Carolinas Cord Blood Bank, and the National Institutes of Health. Under the plan, NYSCF scientists will derive induced pluripotent stem (iPS) cells from cord blood samples provided to it by the other three institutions. The iPS cells, which have the ability to become all types of cells in the body, will be manipulated to become specific types of cells needed to treat devastating blood-related diseases, such as leukemia, and metabolic diseases like Lysosomal storage diseases that affect children. The NYSCF team will also investigate whether iPS cells can be used to develop quantities of safe blood and blood products that could help meet the demand for blood transfusions in medical emergencies and surgeries. The New York Blood Center (NYBC) at the Howard P. Milstein National Cord Blood Center and the Carolinas Cord Blood Bank (CCBB) at Duke University Medical Center represent the nation’s largest public repositories of cord blood samples. 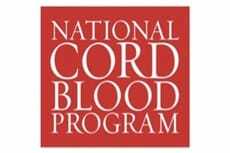 Additionally, the National Institutes of Health Center for Regenerative Medicine (NIH CRM) funded by the NIH Common Fund will provide NYSCF with cord blood samples that have been banked with the National Heart, Lung and Blood Institute (NHLBI). Cord blood, collected from umbilical cord blood donated by women following a healthy birth, is rich in stem cells. Clinical trials and other approvals would be needed before the iPS cells produced from cord blood could be used to treat disease or become a source of blood for transfusing in patients.